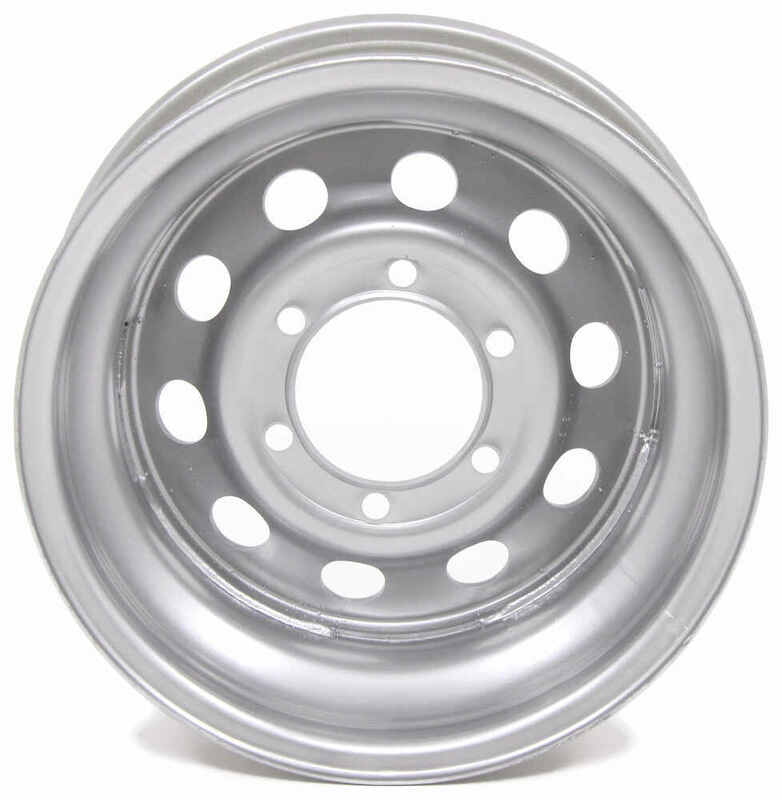 Silver power coated, 15" steel wheel features a 6 on 5-1/2 bolt pattern and meets Department of Transportation standards. Lowest Prices for the best tires and wheels from Dexstar. 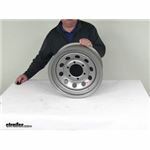 Dexstar Steel Mini Mod Trailer Wheel - 15" x 6" Rim - 6 on 5-1/2 - Silver Powder Coat part number AM20539 can be ordered online at etrailer.com or call 800-298-8924 for expert service. 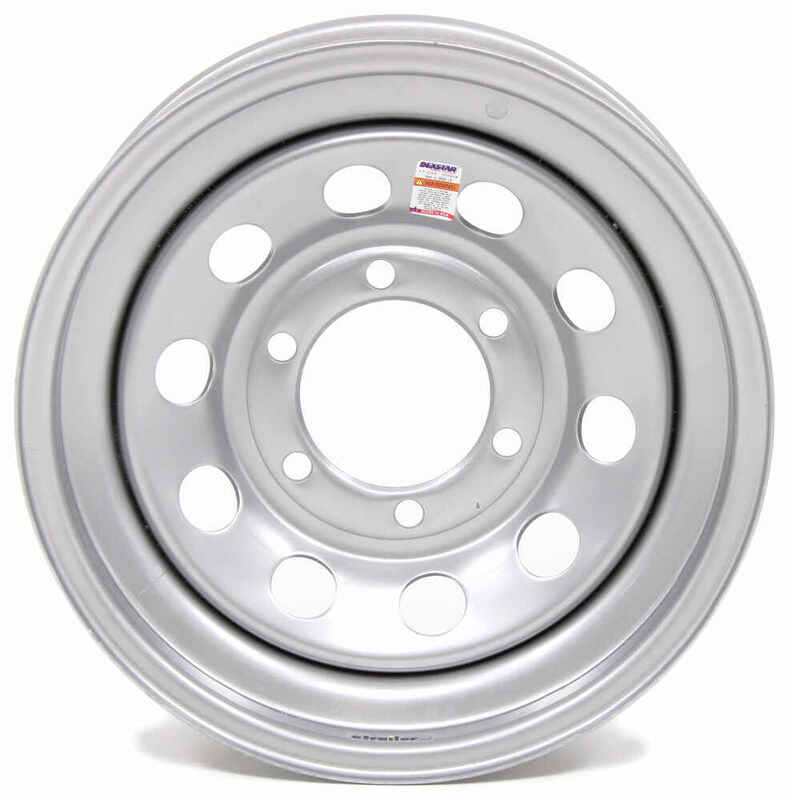 20539DX Dexstar Modular Morton Silver Wheel - 15"
Order: RelevanceNewestRating - High to LowRating - Low to High Silver power coated, 15" steel wheel features a 6 on 5-1/2 bolt pattern and meets Department of Transportation standards. The wheel I purchased to replace a bent one is doing great. Holds up nicely and still looks like new. Very satisfied!! You'd want to use 90-120 ft lbs of torque when tightening 1/2 inch lug nuts with the Dexstar Steel Mini Mod Trailer Wheel # AM20539 that you referenced. The closest wheel we have to what you need is the # AM20534 which is a 15 inch galvanized trailer wheel with a 6 lug bolt pattern but instead it's a spoke style instead of the mod style. The closest mod wheel we have is the part # AM20539 which is a silver powder coated mod wheel with 6 lug bolt pattern. 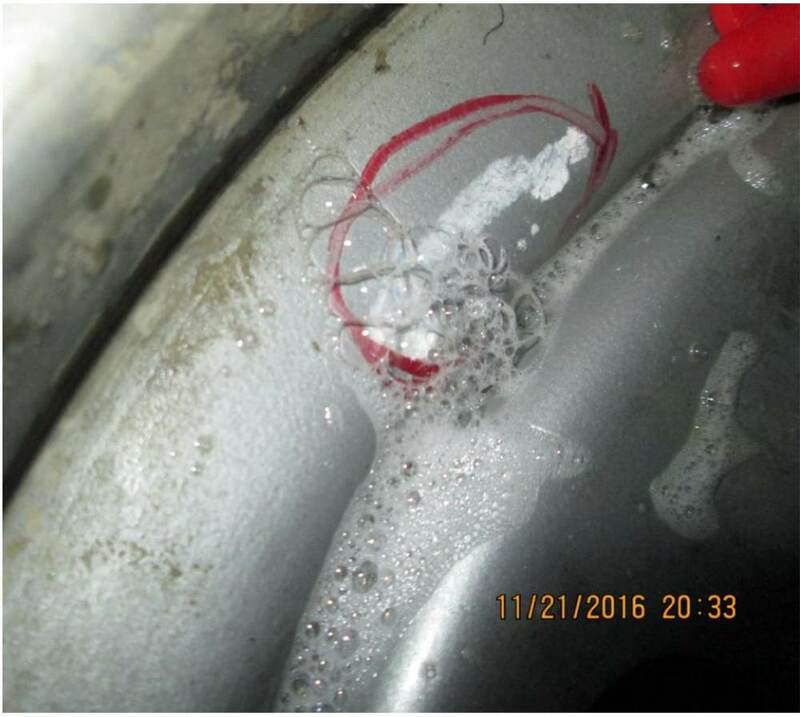 For the Dexstar Steel Mini Mod Trailer Wheel # AM20539 that you referenced the psi rating is a limitation of the valve stem used. As long as you have a valve stem rated for 110 psi like the Americana Metal # AM20906 you'd be fine. Since the lip on trailer rims doesn't count as width you most likely have a 6-1/2 inch wide trailer rim. All of our rims with the bolt pattern you need that are 15 inches in diameter are 6 inches wide like our most popular rim part # AM20539. If you have the popular 15 inch trailer tire sizes of 205/75-15, 225/75-15, or 7.00-15LT then this rim would work well for you. The Dexstar Steel Mini Mod Trailer Wheel would be an excellent choice for a replacement wheel for you trailer. This rim is compatible with the 7.00-15LT tire size you have, which if you need a replacement tire you would want part # AM10414. To see all the compatible wheels that would work for you check out the link I provided. I went to our warehouse to take a quick measurement for you. 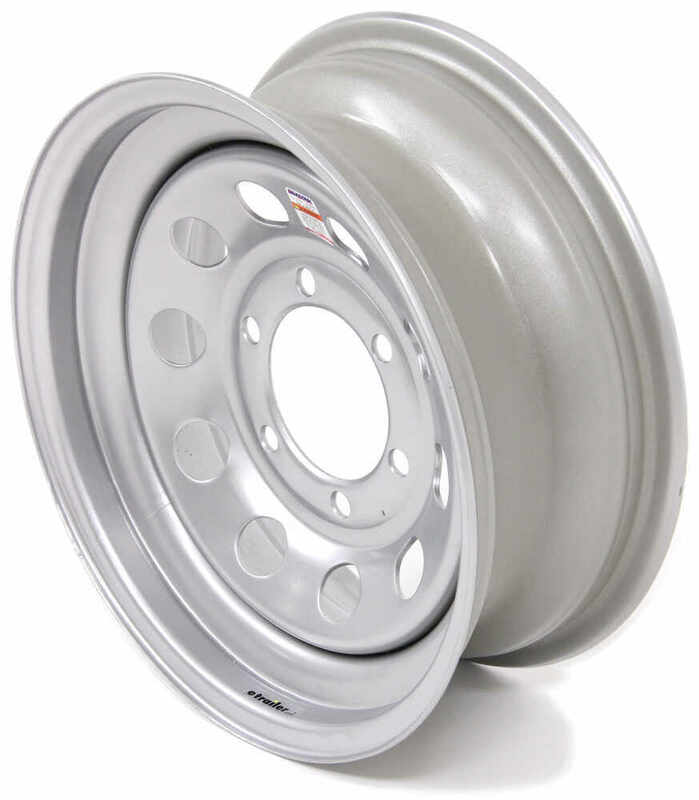 The Dexstar Steel Mini Mod Trailer Wheel - 15" x 6" Rim, # AM20539, has a back spacing of 3-3/4". Back spacing is measured from the mounting surface to the outer most edge of the rim. Most likely you have a 6 on 5 inch bolt pattern wheel, but you can verify this by checking out the help article I attached that details how to determine bolt pattern. Once you figure that out check out the other link I attached that shows all of the 15 inch diameter wheels we carry with a 6 lug bolt pattern. Some of the wheels have tires too if that's what you are looking for. The Dexstar Steel Mini Mod Trailer Wheel # AM20539 have a JJ bead profile. I can't say whether all J an JJ rims are interchangeable but most tires will fit either. We have Dexter Mini Mod wheels in the exact size you need but not galvanized. The closest we offer would be the silver part # AM20539. For white you would want the # AM20552, for black # AM20560. The psi rating is a limitation of the valve stem used. Our 15 inch wheels with 6 on 5-1/2 bolt pattern will be able to handle a 225/75-15 tire that requires 95 psi provided that the proper valve stem is used. I do recommend a metal valve stem such as # AM20906. We have a lot of wheels in this size and bolt pattern so I have included a link to them all for you. The galvanized Americana Steel Spoke Wheel, # AM20534, is the closest wheel we offer to the Dexstar Steel Spoke Wheel, # AM20532, with a silver finish. If you want to stick with the Dexstar brand, you can go with the Dexstar Steel Mini Mod Trailer Wheel, # AM20539. This wheel has the same diameter, width, bolt pattern and weight capacity as the Dexstar wheel you referenced and it has a silver powder coat finish. You just need the valve stem that is associated with wheel # AM20539 for a proper fit. In this case it is valve stem # AM20904. This valve stem presses into the hole so that the larger diameter end won't allow it to pull out of the wheel. I have linked a video review for you. 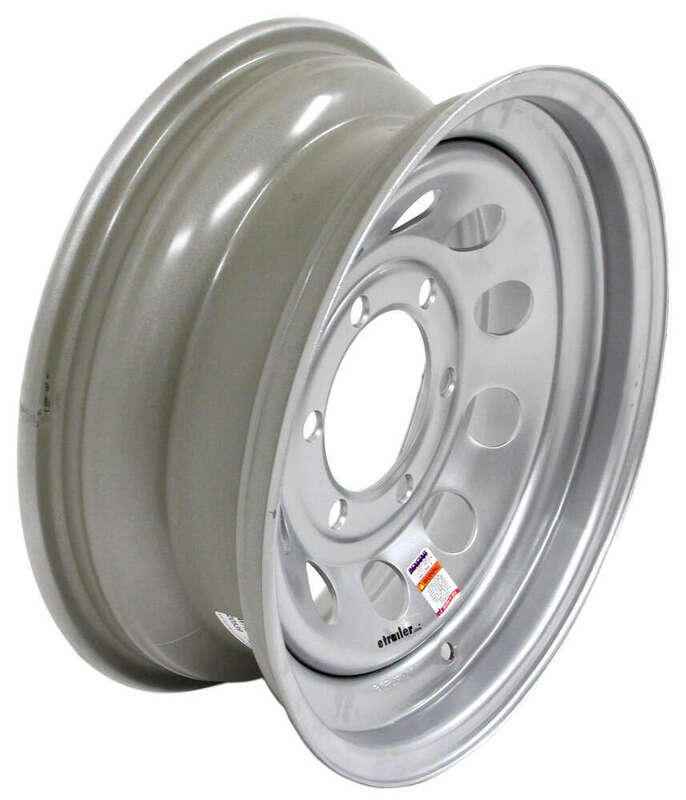 Taskmaster Steel Modular Trailer Wheel # 560655MSPVD is made overseas. The similar Dexstar wheel, # AM20539, is made in the USA. I have included a link to a video review of it for you. 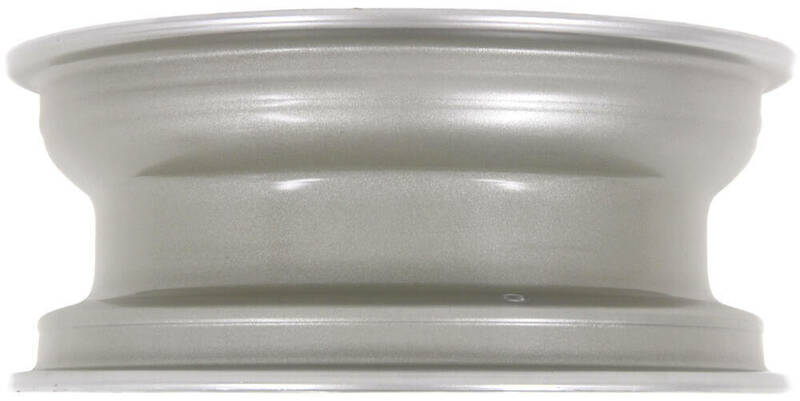 Yes, the Phoenix USA QuickTrim Hub Cover # QT655C that you referenced will work for you as the wheel you have part # AM20539 requires 1/2 inch wheel studs like what this cover is designed to fit.